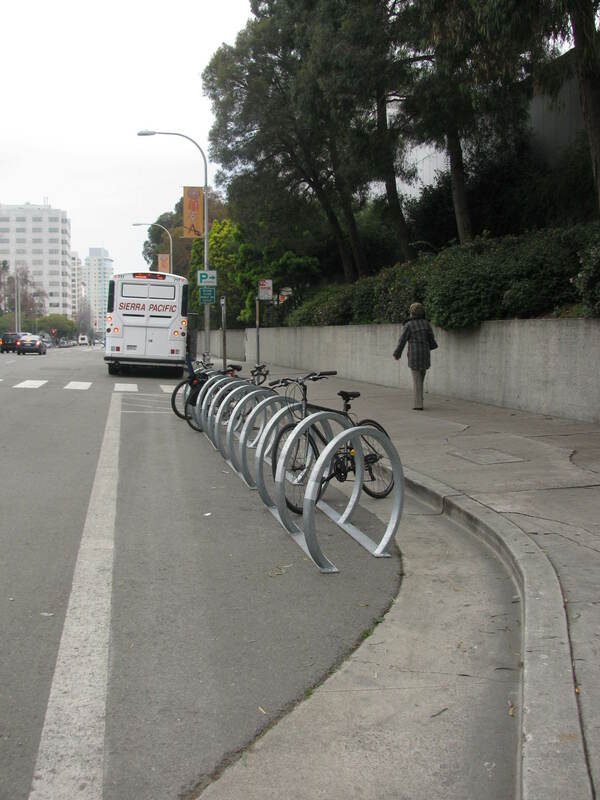 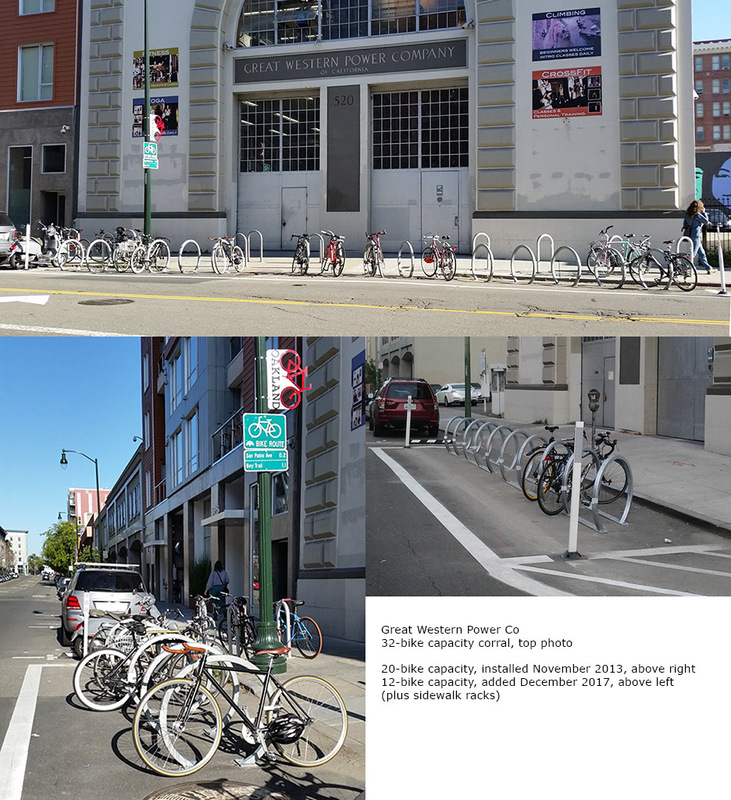 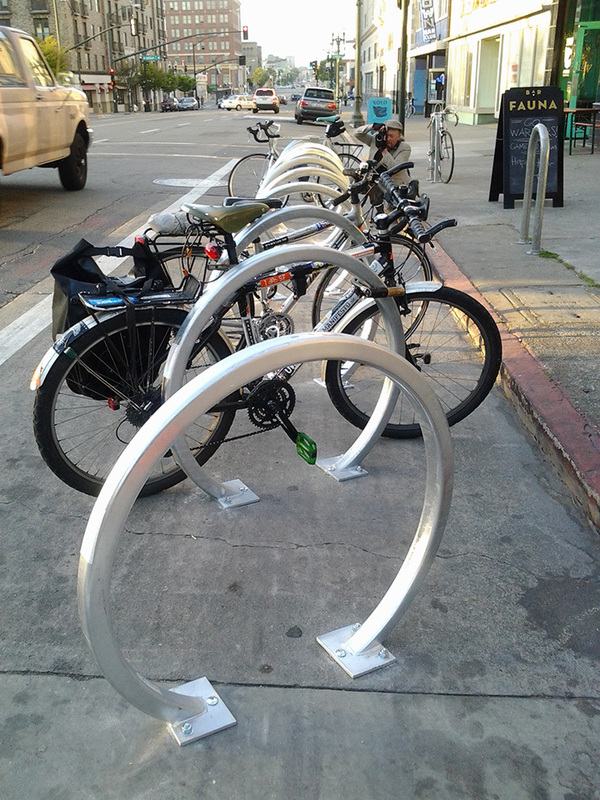 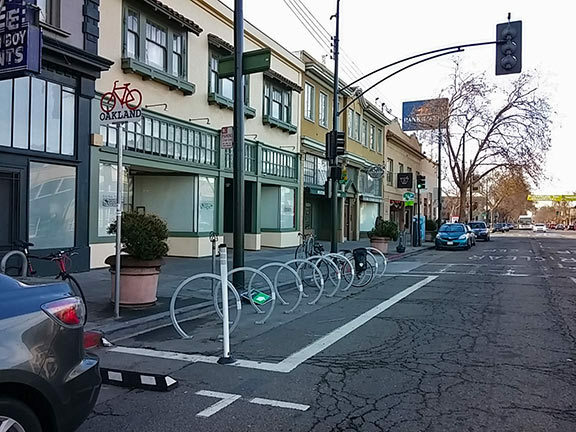 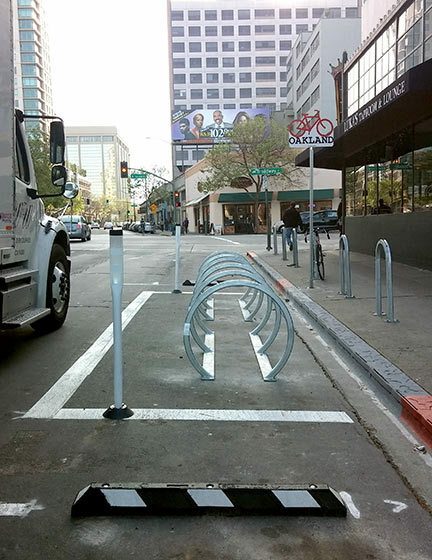 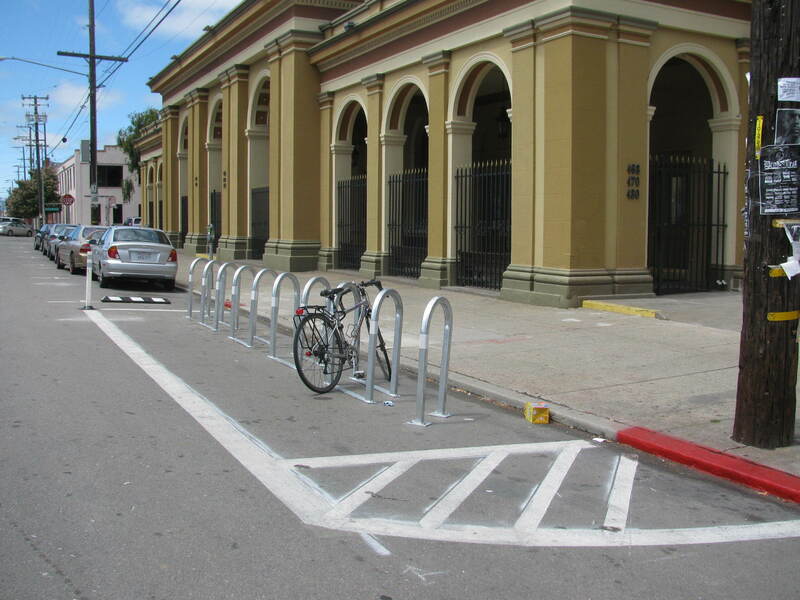 An in-street bicycle parking corral ("corral") is a group of bicycle parking racks placed in the street next to the curb aligned with car parking stalls. 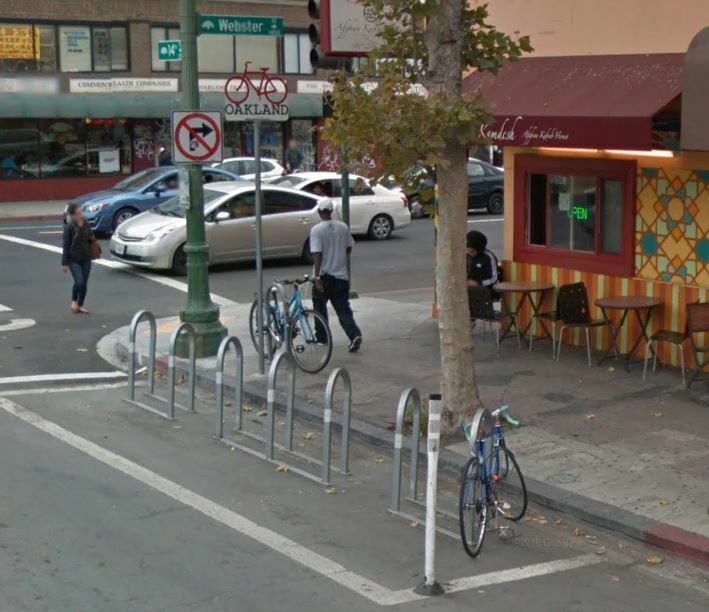 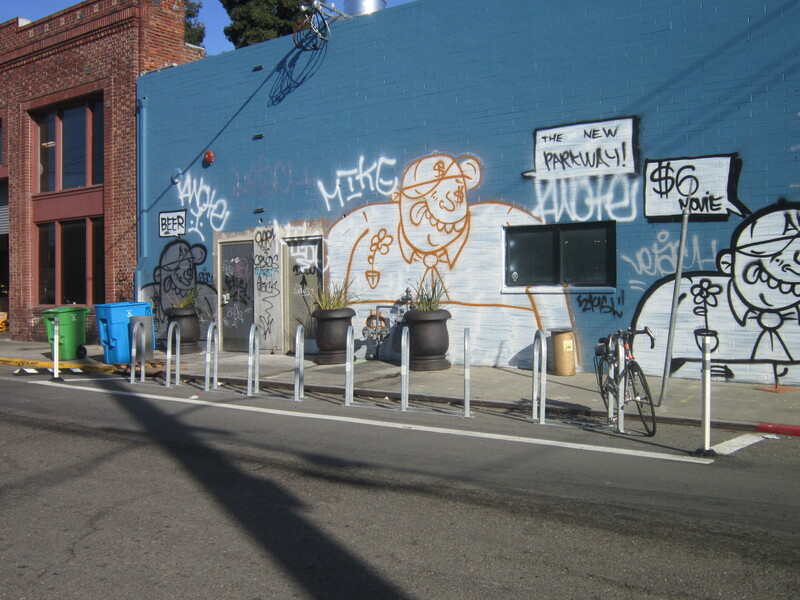 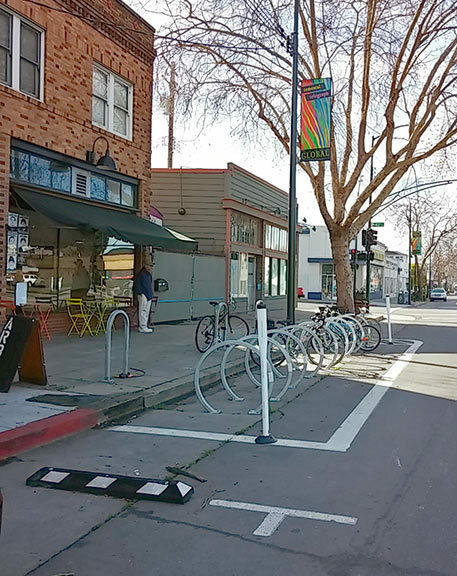 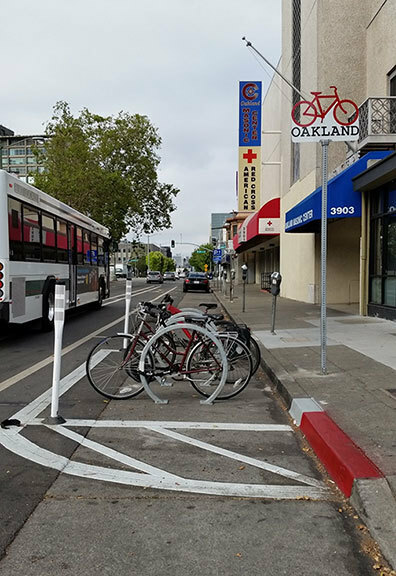 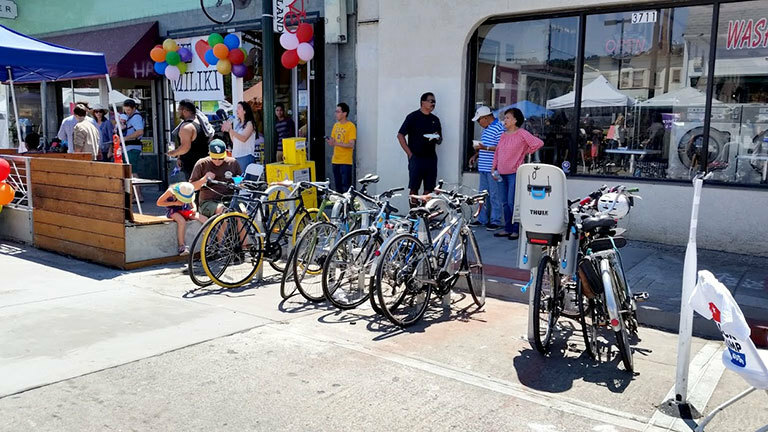 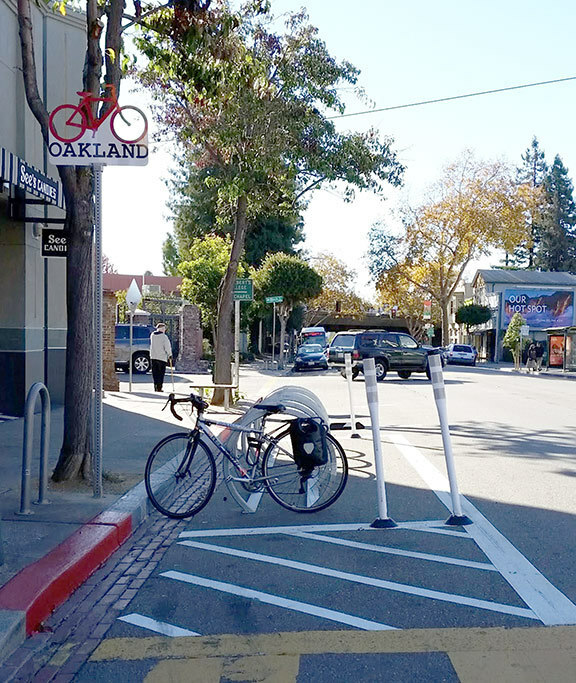 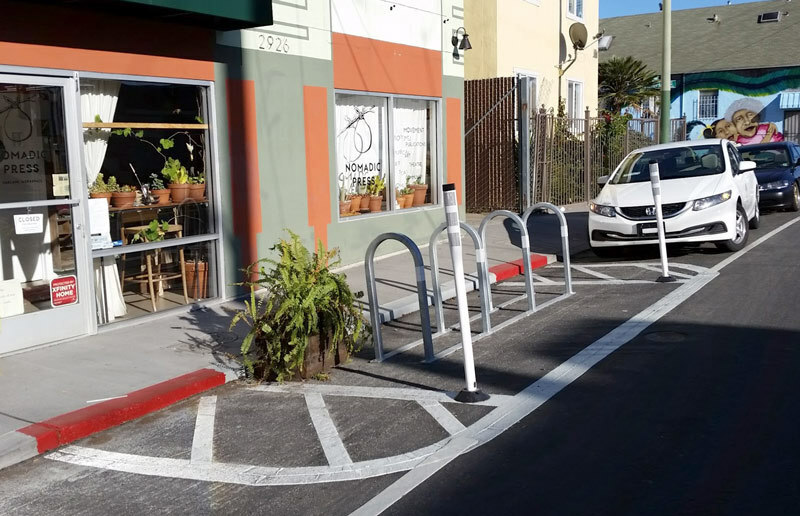 (Corrals are distinct from Oakland's "parklet" program, coordinated by the Planning & Zoning Division.) 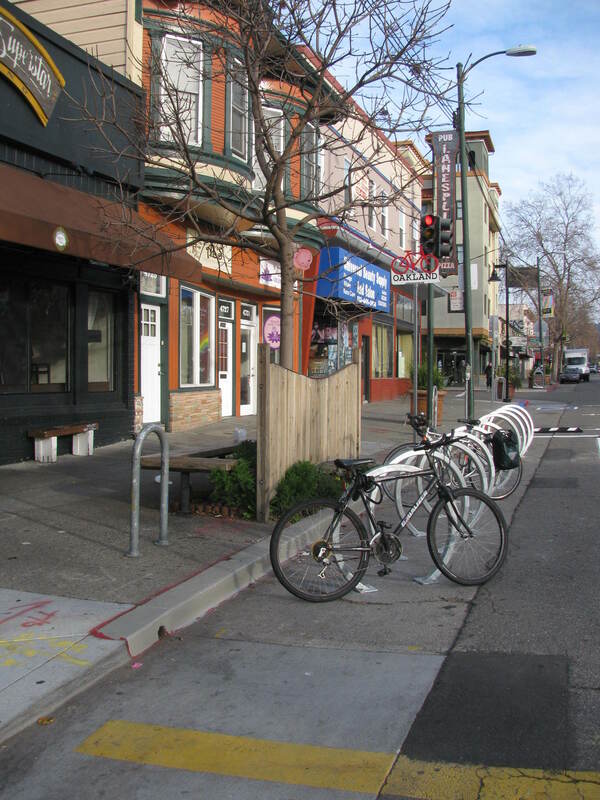 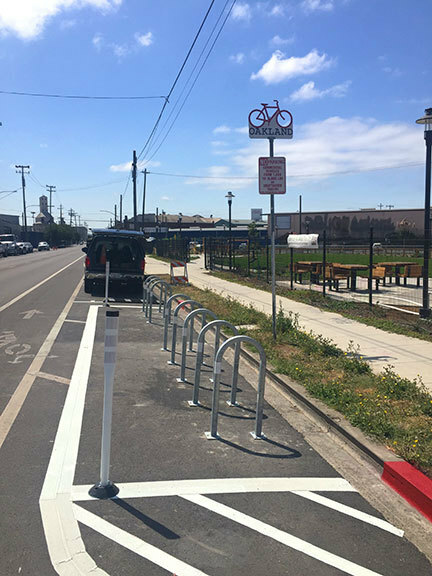 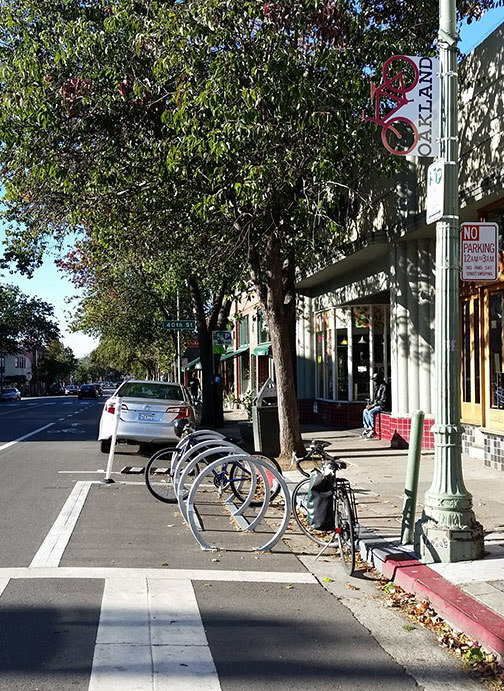 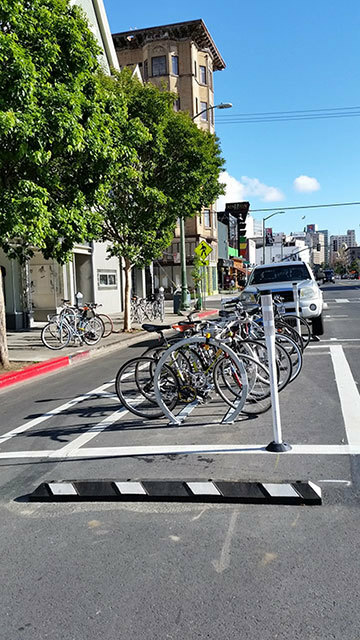 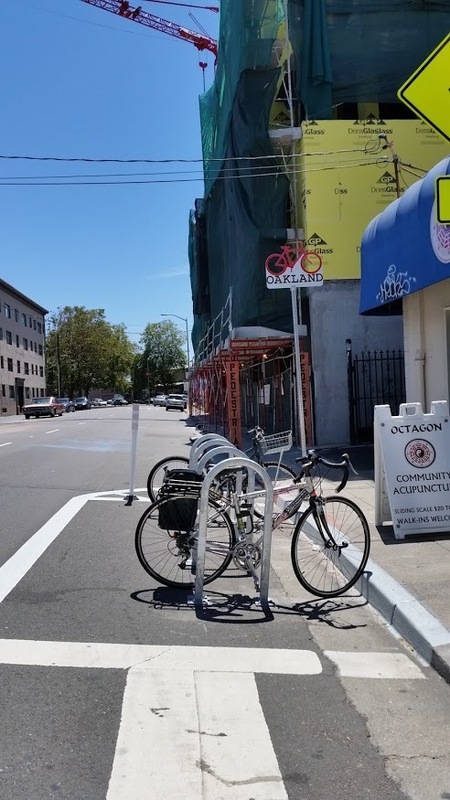 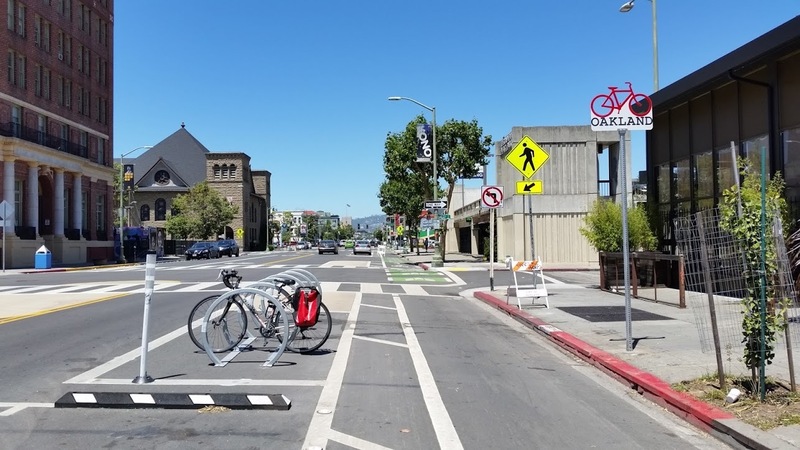 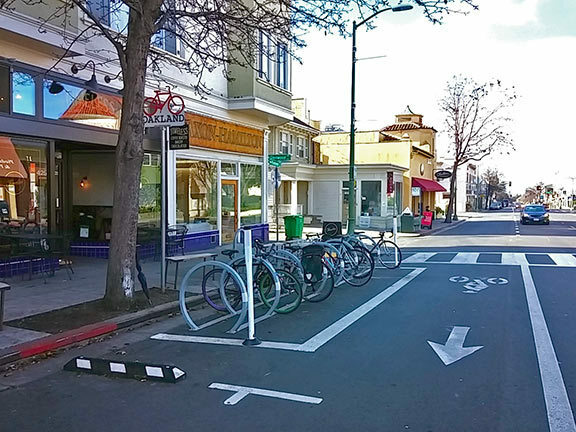 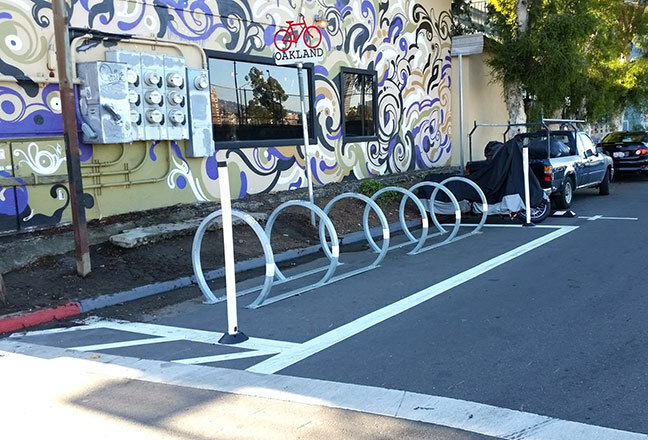 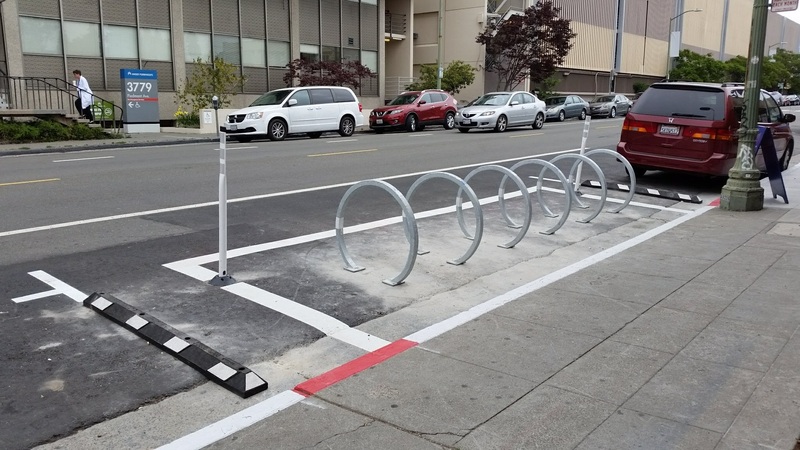 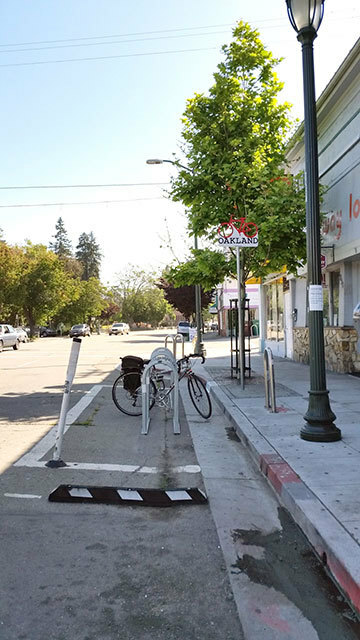 Corrals may be prioritized for installation where demand for bike parking is higher than can be accommodated on the sidewalk. 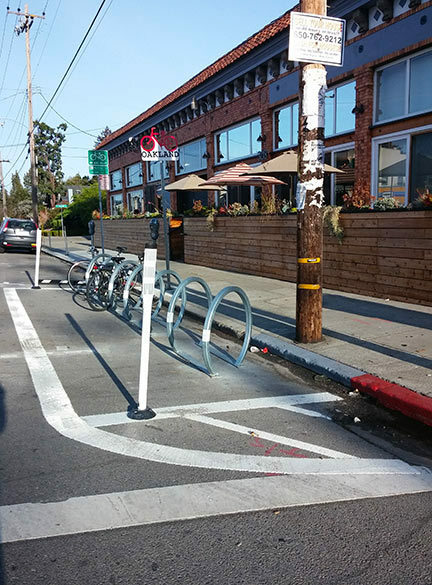 Corrals may be installed in other locations based on favorable site-specific circumstances. 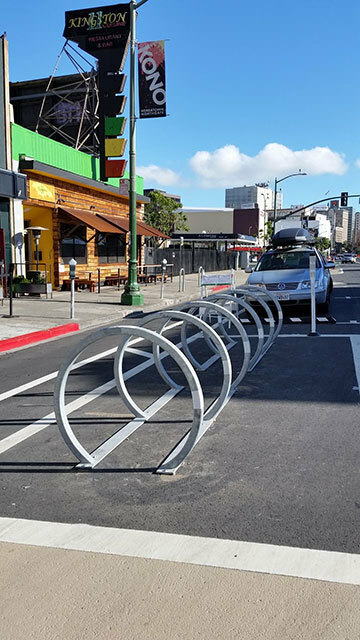 Corrals will be installed in response to requests from businesses or business improvement districts (BIDs or similar entities). 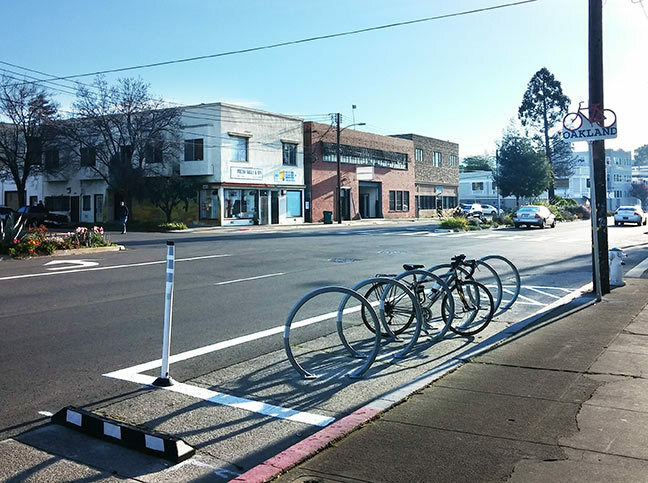 Community members who would like a corral at a particular business should contact that business and share the materials on this page. 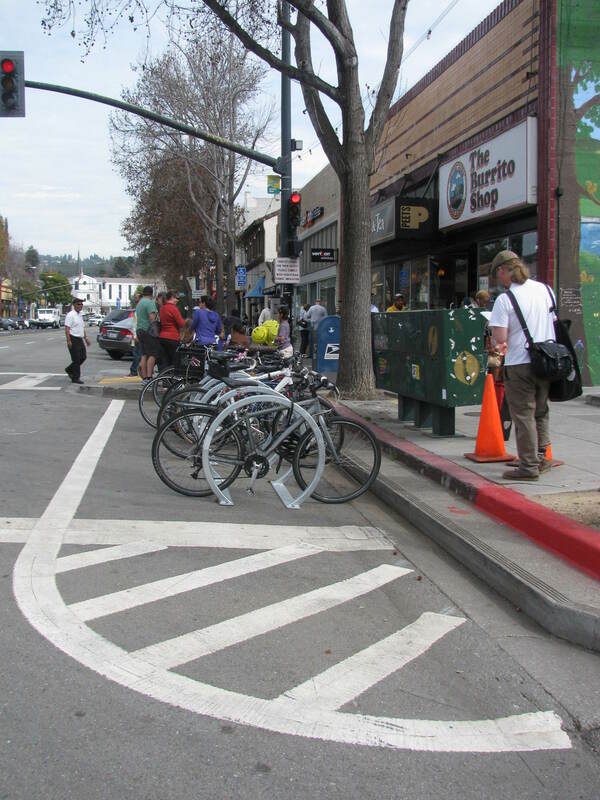 Applicants must submit a signed Maintenance Agreement early in the evaluation process.